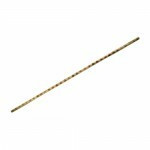 Bo is a long staff usually made of tapered hard wood or aluminum. The basis of bo technique is te, or hand, derived from kung fu and other martial arts that reached Okinawa via trade and Chinese monks. Thrusting, swinging, and striking techniques often resemble empty-hand movements, following the philosophy that the bo is simply an extension of one’s arms. Bo Staff classes are our most popular weapons classes, being the easiest to handle as a beginner, and suitable for a wide range of ages. 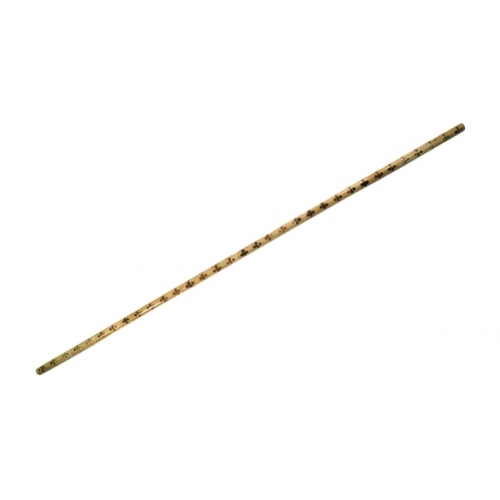 Sai is a pointed, rod-shaped baton, with two long, unsharpened projections (called yoku) attached to the handle. The sai is typically used in pairs, with one in each hand, and practice includes a variety of blocks, parries, strikes, and captures against attackers from all directions and height levels. 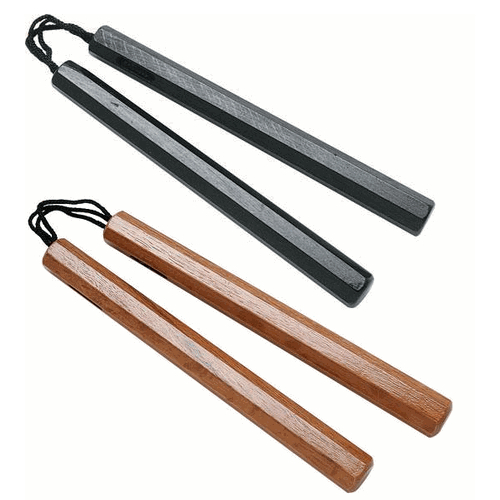 A nunchaku is two sections of wood, metal, or almost any plastic or fiberglass material (commonly covered with foam to prevent self-injury or the injury of others), connected by a cord or chain. 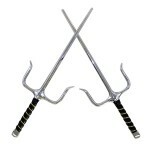 The use of nunchaku can help students improve their reflexes, hand control, and other skills. Advanced sword techniques including jumps, spins, and kicks with the sword, as well as manipulations and release moves. 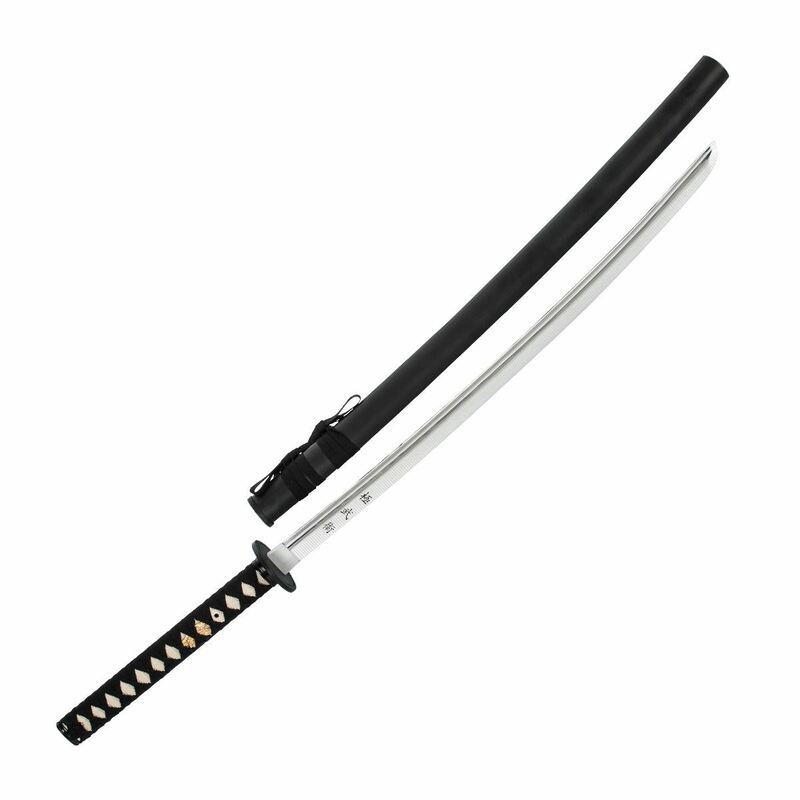 A bokken (wooden sword) is recommended for beginning practitioners. 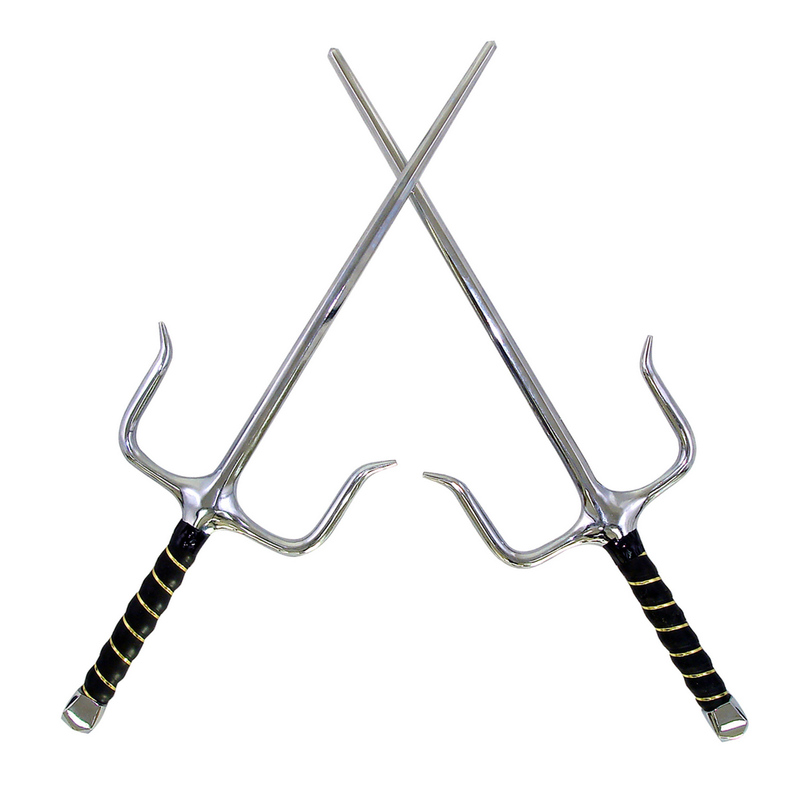 As students advance in skill, aircraft aluminum swords are used for mastering advanced techniques such as sword releases.